loaded the medicaid statistical information system into monetdb with monetdb.r. queries on 60 million records? under one minute. buh-bye sas. cooked for myself. olasjc might've turned water to wine, but could he turn lime to avocado? 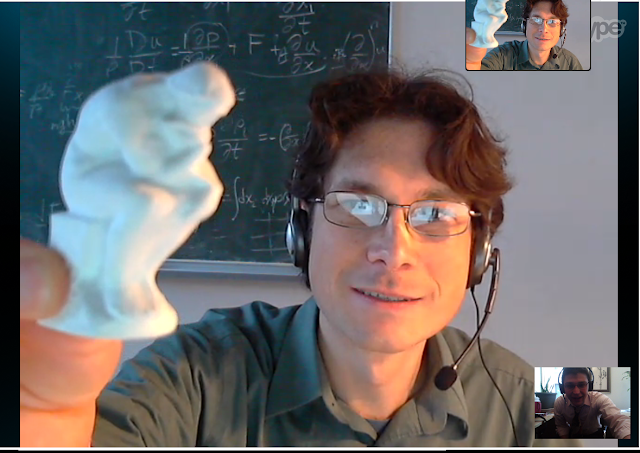 hung out with curtis on skype, seen here brandishing his three-euro rodin eraser. ate, drank on the rooftops. saw mr. future professor, in town to lecture us all on prescriber behavior.